Questions about Elan Lighting 83227? 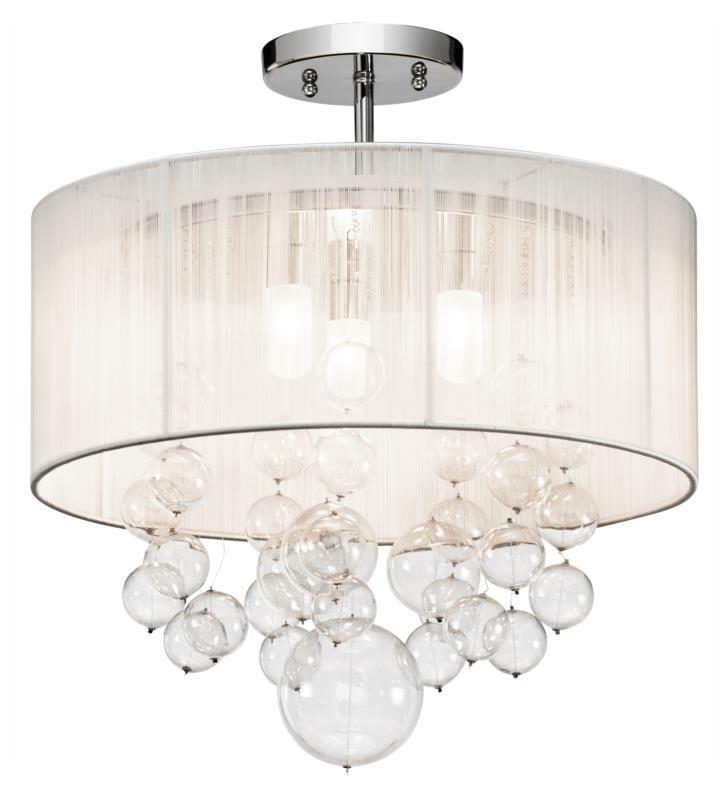 This Round glass bubbles appear to float in midair beneath the white drum string shade of the Elan Imbuia ceiling flush mount light. Because of the gauzy translucent look of the string shade, you can see the light sources inside. The G9 bulbs are included. W 16" x H 18 1/4"